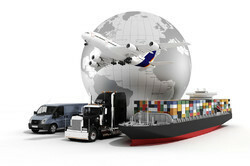 Prominent & Leading Service Provider from New Delhi, we offer sea freight forwarding and sea and air freight service. Ours is a well-known name in the market that provides Sea Freight Forwarding for our esteemed customers. Being a client centric organization, we are well-aware of the client requirements and proffer reliable services so as to assist our patrons in safely transferring precious belongings at desired locations. Our services are budget friendly and standardized. 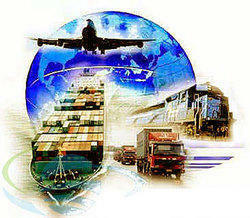 Our company is instrumental in proffering Sea and Air Freight Service at market leading prices. Carried out by our experts, these reliable services comprise of packing, loading, unloading, transportation and warehousing facilities in a hassle free manner. It is the utmost responsibility of our experts to make sure that no damage is caused to the carried load. Looking for Logistics Services ?